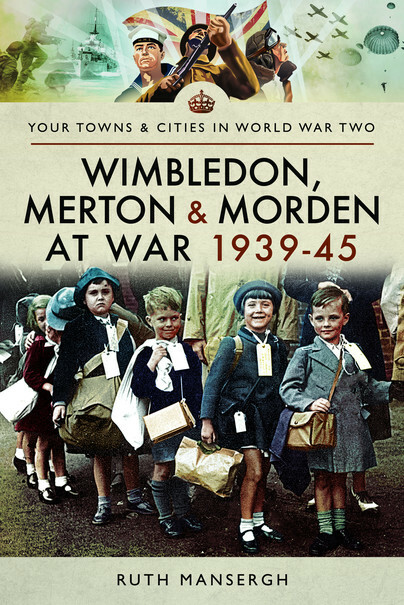 You'll be £14.99 closer to your next £10.00 credit when you purchase Wimbledon, Merton & Morden at War 1939–45. What's this? More than 350 bombs fell on Wimbledon during the Second World War, killing 150 residents and injuring a further 1,071. Around 12,000 houses were damaged and 810 destroyed. Notable people discussed in this fascinating book include Ernest Leonard Harvey, who was onboard HMS Suffolk on the night Bismarck was spotted; Peter Walley, who died when he steered his crashing aircraft away from housing in the area; Pat Reid, Colditz Castle escapee; PoW Ernest Colman's "Wimbledon Variation"; casualties of the Burma-Thailand railway; and the members of the Mitcham Home Guard who were killed when a German parachute mine hit the Tower Creameries site on Wednesday, 16 April 1941 (after a relatively quiet couple of weeks). This well-researched book also includes a list of the lost hospitals of Wimbledon, as well as war memorials in the London Borough of Merton – findings which have since been added to the Imperial War Museum's website, www.iwm.org.uk. It also provides an insight into factory worker jobs that have long-since bitten the dust. Tri-ang in South Wimbledon was a national by-word for toys – until it started making munitions for real. And, with the outbreak of war, Vortexion of The Broadway, Wimbledon - a manufacturer of public address amplifiers - found itself under the direction of the Government for war work. Overall, this is a poignant testimony to the momentous efforts, bravery, self-sacrifice and determination of the people of Wimbledon during the Second World War, who sought to find normality in a reality so far removed from anything they had ever known. editor/proofreader for publications including Financial Adviser and the Daily Mail. She was brought up in Cumbria, went to school in North Yorkshire, and has a degree in English with Social History from Leeds University. She has inherited her father’s keen interest in local history.